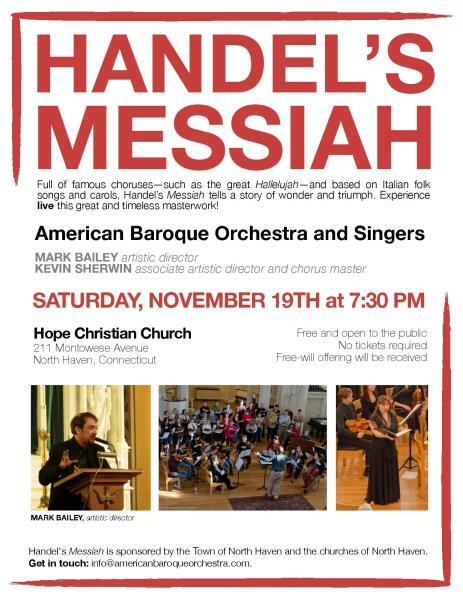 American Baroque Orchestra Artistic Director Mark Bailey and Associate Artistic Director Kevin Sherwin, joined by members of ABO, will lead interactive rehearsals, workshops, lectures, and a culminating performance—and we will delve into the genius of influence, and the genius of its product! 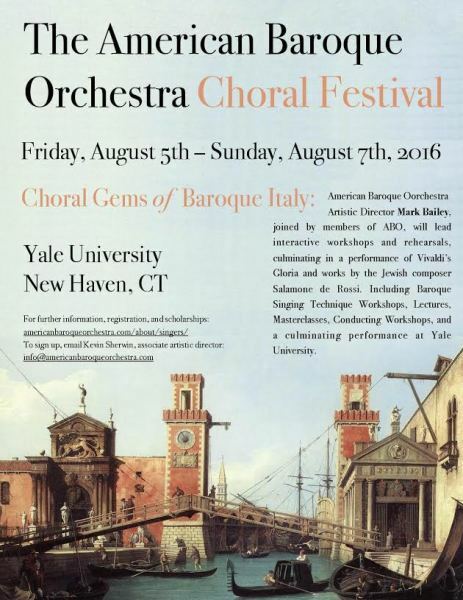 Sessions will be held on the Yale University campus. Rehearsal #7: Wednesday, November 30th; 7-10pm- Final Choral Rehearsal and Party!